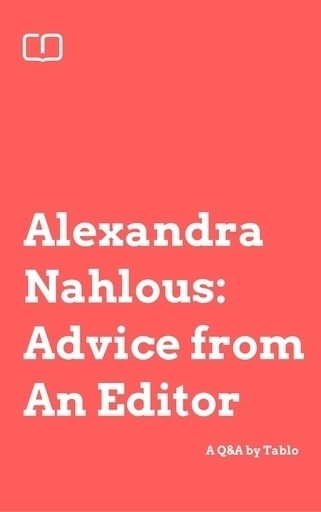 Alexandra Nahlous is a freelance editor who specialises in narrative non-fiction and fiction. 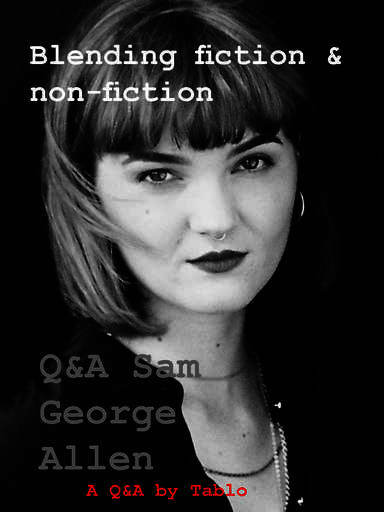 She has worked in-house as a senior editor and fiction publisher, taught editing at UTS, and presented information sessions and workshops for authors at the New South Wales Writers’ Centre and Sydney Writers’ Festival. She works with major publishers and individual authors who want to polish their work for submission or self-publishing. For more details, go to www.alexandranahlous.com. You’ve edited a lot of books across genres. Who are some of the writers you most enjoyed working with? Gosh, it’s hard to name only a few – I’ve worked with so many wonderful writers over the years. I adored working with Liane Moriarty and Christos Tsiolkas – they’re so brilliant and so incredibly humble about it all. I loved working with Paul Daley and Malcolm Knox, who are quite unafraid of chopping and changing and deleting entire scenes and starting again. And I absolutely love working with Kaye Dobbie and Fiona McArthur – they write with such authenticity and ease that I often forget I’m supposed to be editing. What role does the editor play? The editor is a critical reader – they read the work very closely and assess which areas need strengthening, which characters need fleshing out, which aspects of the plot need to be explained or explored further. They read with the big picture in mind in order to develop the work, and they read with an eye for the minutiae, so that every comma, every full stop is as it should be. 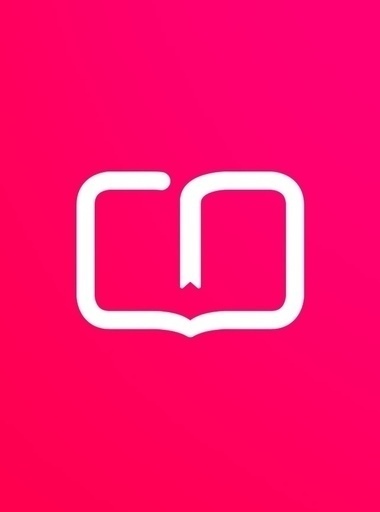 But more than this, the editor supports the author along the editing and publishing journey, particularly if they’re inhouse, where they help facilitate the publishing process. Can you give a brief overview of the production process at a publishing house? The production process begins with the acquisition of a manuscript by a publisher or commissioning editor. The manuscript is then developed through a structural edit – this can be done by the publisher, the inhouse editor who will look after the title and author throughout the production process, or a freelance editor chosen for their skills in that particular genre. Often, the publisher/editor/freelance editor will discuss the edit so that there’s agreement on the approach to take. The edit is then sent to the author, who will consider the comments and suggestions made, and come up with their own solutions to problems raised. The author then sends the revised manuscript to the publisher/inhouse editor, and the manuscript is then sent to a copyeditor, who does a line-by-line edit to examine language, expression and grammar to help eliminate errors. The copyedit is then sent to the author to peruse. This is the author’s last chance for minor changes (as all major changes should have been completed at the structural stage). The author sends the manuscript back to the inhouse editor, and the manuscript is then typeset (designed into book format). The ‘first pages’ as they’re called, are sent to a proofreader, and these proofread pages are then sent to the author to check over one final time. Then the inhouse editor checks the ‘second pages’ to ensure all the proofreading corrections were completed, and the final file is then sent to the printer. The book cover is worked on from the outset of acquisition, as is the blurb, which is a key point of sale. Typically, covers need to be finalised six months before the publishing date. The publisher (or inhouse editor) briefs a cover designer with their (and the author’s) vision for the book, and the designer presents concepts that are then taken to the broader team of sales and marketing, so that there’s agreement about the best possible cover for the title. Can you discuss some of the main problems you need to solve when editing a book? How is fiction and non-fiction different or are these issues the same? When I’m working on a structural/developmental edit, the three main problems I find are characterisation, plot and showing/telling. Characters are such tricky creations because they need to be realistic and sufficiently sympathetic for us to care about them so that we continue to read until the very end. Even if it’s a plot-driven book, it will fail if the characters aren’t strong. They need to have depth and be three-dimensional, and as readers we need to feel as though we know them inside out and understand their motivation. With plot, particularly in a drama or romance, where there’s a tendency to spend a lot of time in the inner world of a central protagonist, we need ample action to drive the story towards one or many turning points to lead us to a powerful conclusion. Without this, the pace will suffer terribly and this will diminish the storytelling. And it’s always a great idea to plunge us directly into a point of action to begin the story. Too often, writers spend time giving background information leading us gently into a story. It’s much better to place us in the middle of a problem and give us the background in small snippets throughout the narration. We’ve all heard the ‘show don’t tell’ advice – as in, give us live scenes through dialogue instead of pages upon pages of narration. But actually, a healthy balance is what’s needed. If there is too much narration and not enough dialogue, then the pace is slow and as readers we are kept at a distance. If there is too much dialogue and not enough narration, then we can feel as though the narrative voice is missing, because that’s what the narration gives us. Narrative non-fiction and fiction editing are very similar. The complicated part with non-fiction is that the characters and plot points are real, and it’s a matter of ensuring they are the most powerful they can be. Can you please list some advice for new writers you'd suggest before they send their book off to a publisher/agent/editor? If they are part of a writing group, they should have someone they can trust as a critical (not destructive) reader read the manuscript and offer opinions about plot and characterisation and writing. If they can have more than one reader, then that’s terrific because they can get more of a balance of opinions to work out how they might improve the manuscript. If they’re not part of a writing group, then joining one is a wonderful, supportive thing to do, especially if they’ve been working in isolation for months or years. And, of course, reading in the genre they’re writing in – understanding the conventions and traditions are the best ways to subvert or improve them. Yes and no! Writers can ask: is the plot riveting? Does it move at a fast enough pace? Are there enough turning points or twists to keep the reader interested? Are the characters three-dimensional or are they caricatures? Do they have a goal or desire that they’re reaching for? Do they have a dilemma that keeps the plot strong? Do their actions and words ring true for who they are supposed to be? Do they grow or change by the end of the story – as in, do they have a story arc? Is the dialogue wonderful or is it full of inane hellos and how are yous. But these are difficult things to isolate, particularly when you’re too close to the work. That’s why a fresh set of eyes via a new reader are so crucial. How can you tell if the writing is good when you start reading a manuscript? What is great writing to you? This is by far the most difficult question to answer. It’s the magic of narrative voice – it grabs you instantly, from the very first line, and keep you in its grips until the last page. Great writing doesn’t have to be poetic – in fact, for me, that’s the joy of genre fiction. It’s the most understated great writing. Great writing spends time in the moment without dragging it out, it allows readers to go under a character’s skin, it explores honest, painful emotion, it offers wisdom and teaches us truths. Definitely women’s fiction, which is such a broad area. I love the wisdom, humour and poignancy in this genre, which explores the vastness of women’s lives and issues. I know you love romance writing – what do you particularly love about the genre? I love the commitment to optimism in romance books – who doesn’t love a happy ending? There is an integral romance in every great story, regardless of genre. The difference with romance books is that the romance is the central story. I fell in love with romance writing from a very young age – I read Pride and Prejudice when I was thirteen and from that point on I started reading every romance novel I could get my hands on, and it’s something that has only grown with time. The genre is so broad and it’s growing all the time. I honestly don’t think I’ll ever stop reading romance novels. The best answer is to write a successful novel or non-fiction book, but that’s a tough ask. It’s well known that writers are amongst the lowest paid people. A writer once told me that he made more money from the royalties of public library lending than the sale of his book. But it’s a labour of love and that’s why so many writers keep at it. I’ve known several authors who make their living through ghost writing or technical writing, and this enables them to pursue their more creative passions, while strengthening their skill overall. Others write articles for online and/or print publications, therefore earning an income as a writer as well as gaining a better writing profile. I guess it’s about finding your space in the world – it’ll be different for everyone and there’s no one formula for success. Do you think there's a future in self-publishing? I do, actually. But like any business, it needs research and planning. The writers I know of who have self-published successfully have worked very hard at promoting the book and themselves as authors. And they’ve made the book look very professional – ensuring the cover is eye-catching, the blurb is enticing, the text is edited or at least proofread for errors, the price point is sharp and so on. In the romance world, self-published authors are also part of the romance community – they are part of blogs or forums, they review books online, they attend conferences etc. Where do I start? Jane Austen, who taught me that the mundane has intricacies worth exploring and women’s lives matter. John Keats, whose poetry I was completely obsessed with as a teenager, taught me to wallow in misery (as was appropriate at the time). Sonya Hartnett, who taught me what powerful, beautiful writing was. Peter Temple taught me about enthralling, mesmeric storytelling. Johanna Lindsey taught me that romance writers are historians. Christine Feehan kept me infatuated with the paranormal for a very long time … I could go on! Enjoyed the critique by a professional, a lady with hands on experience and the "take away," is simply, there are no short-cuts in the business of writing a book. Moreover, if you can't write just for the joy and the feeling of self worth...I believe your road will be a difficult one to travel. For me the truly great writers of the past 100 years are those who have "walked the walk." Alex has done so and her persistence in helping writers in a candid, meaningful way is a tribute to her industry which has a number of inbred and definitive glass ceilings which are impossible to break for certain outstanding authors who do not have the connections, nor willing to play the game!